Hello to all budding fighters! With the elements about to be rebalanced (or nerfed, depending on your point of view) it’s time for another tournament! As before, this event shall be held in the glorious Gaoling Arena. When will it be held? - The event will take place on the 25th of August at 7pm UTC. This is 3PM EST / 8PM GMT+1 / 10PM GMT+3 / 5AM GMT+10. Please consult Google for your local time if it’s not on that list. Where do I sign up? - Please fill in this form. - If this doesn’t work, then feel free to reply to this post. Alternatively, contact Caljitsu or an admin, who shall then add you manually. Can I have whatever bending style I like? - Yes, you can! This event takes place on the Event Server, so you can pick a style of take through the tournament. Please note that once you’ve picked, you can’t change. - Your level will also be boosted to level 25, so it doesn’t matter how strong you are on lobby! What are the rewards? - Apart from eternal glory, and the respect of your fellow players, the winner will get to choose a free item from the server store. This includes bending focuses, hats, player slots, and much more! If you don’t want a free item, then you will receive 500,000 in-game currency (yuans). - Second place will receive 200,000 yuans. - There is also a participation prize of six cosmetic heads, namely, three diamond ore and three diamond blocks. Alongside this, you will also receive a tea leaf. So it’s well worth signing up! - Please note: If an admin or mod wins the tournament, second place will be able to claim the first place prize. This does not mean that second place wins the tournament, you’re still a loser (sorry). How does the Tournament work? - The tournament will run on a public leaderboard that will be available to view once the tournament has started. - Players are seeded based on the length of time they’ve been on the server. This means that veteran players will face veteran players, and newer players will face newer players (wherever possible). This is designed to mix up the tournament and give everyone a fair chance of progression. - The time of day is controlled so that fire and waterbenders don’t receive their day or night damage bonuses. 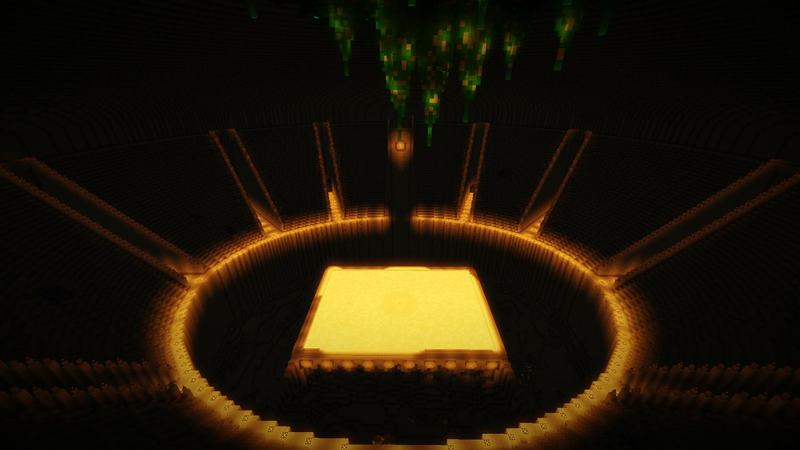 Waterbenders will also fight in a specific arena that contains water source blocks. - Participants will also be delighted to hear that QuietDove (the dude who wrote this and is currently talking in the third person) will, once again, be providing his expert live commentary! I can’t make this tournament, will you do one again? - Absolutely! We are planning to run these tournaments monthly, most likely on the last Saturday of every month. Who knows, we may mix up the prizes at some point? If you have any further questions, do not hesitate to contact Caljitsu or an Admin, either on the server or on Discord. Perform the command /register on the server. This will walk you through how to create an AvatarMC Forum account. Go to the following link: https://discord.avatarmc.com/ . You will then be asked to log in using your forum login information. We look forward to seeing you fight for glory on the 25th of August!